Aquafresh RO System is offers excellent quality 2000 LPH Industrial RO System that is widely used in industrial segments. These systems can give water flow of 2000 ltr per hour. Our vendors design these using multiple filtration and advanced reverse osmosis technology. 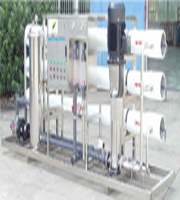 Aquafresh Industrial RO system plant is best suited for small and large scale industries. This type of plant can be configured easily as per the individual requirements of output water. It produces high-quality demineralised water for various industrial applications.